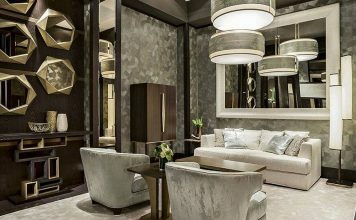 Today’s architects, builders and designers are creating luxury spaces that combine indoor with outdoor living. Indoor spaces quickly transition to outdoor with the slide of a door. 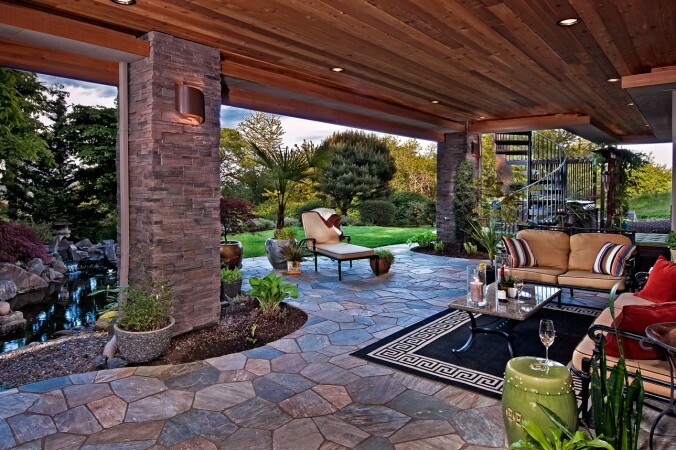 Outdoor living spaces are sheltered and become part of indoor spaces. 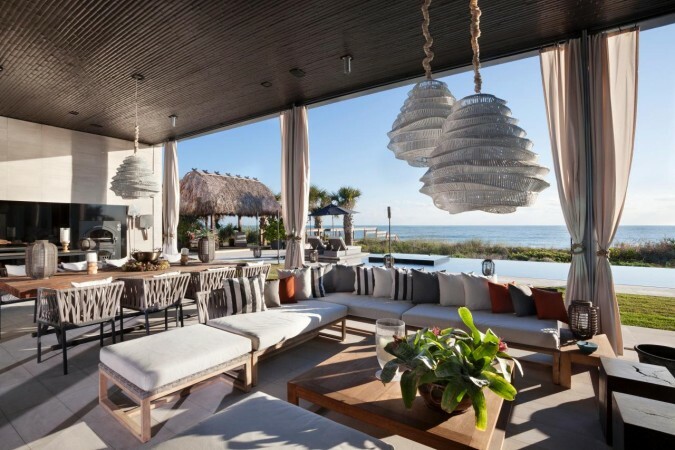 Here we explore luxury indoor-outdoor rooms to inspire. Outdoor rooms are being created that can be enclosed during inclement weather and form an extension to the home’s indoor living space. 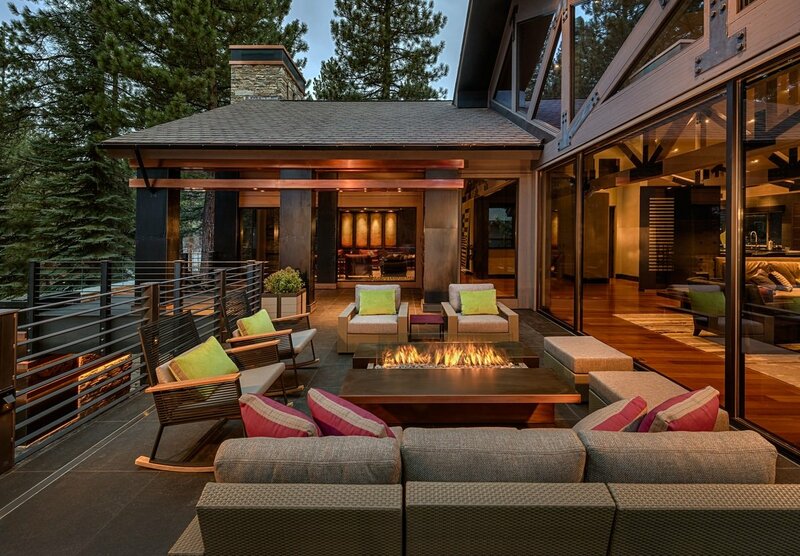 This is an ideal design for entertaining and taking advantage of fresh air. 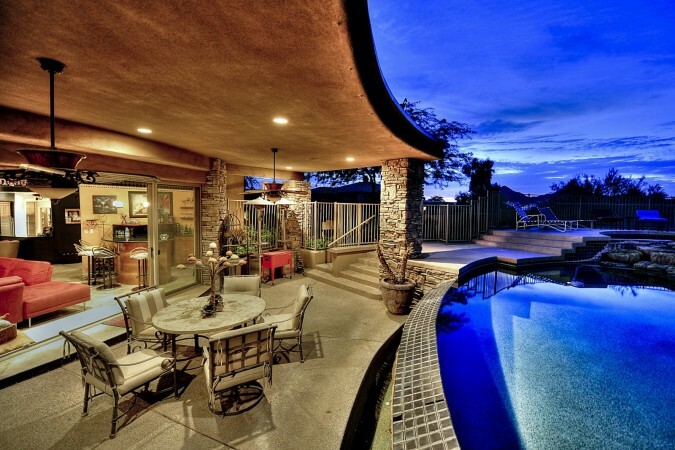 Covered patio areas off various points of the home offer multiple access to a pool or backyard area. A dining area and outdoor kitchen opening off the main kitchen is perfect for outdoor parties. A cozy seating area off the master suite is an added luxury. 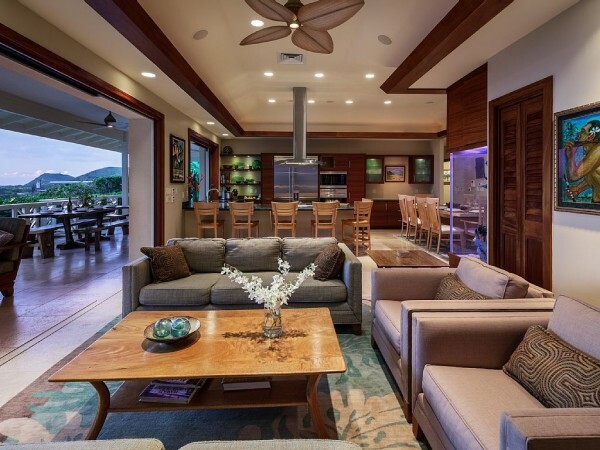 Large open rooms with walls of windows offer that indoor/outdoor advantage. These spaces are bright and airy, allowing both floors to enjoy the views. 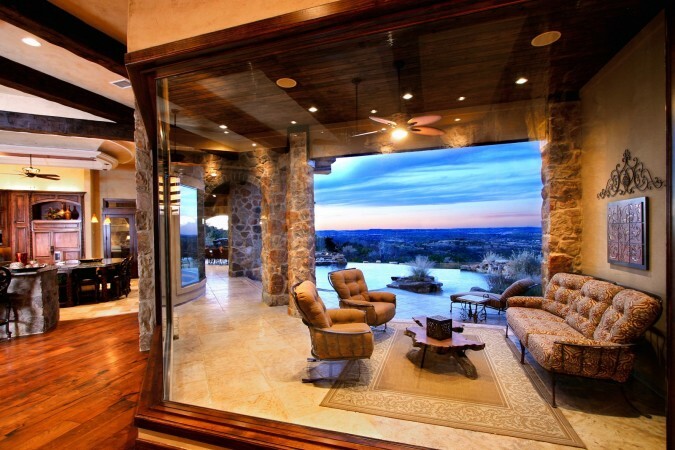 Large glass doors make living between the indoors and outdoors exceptionally handy. Many of these doors are controlled remotely with the push of a button. 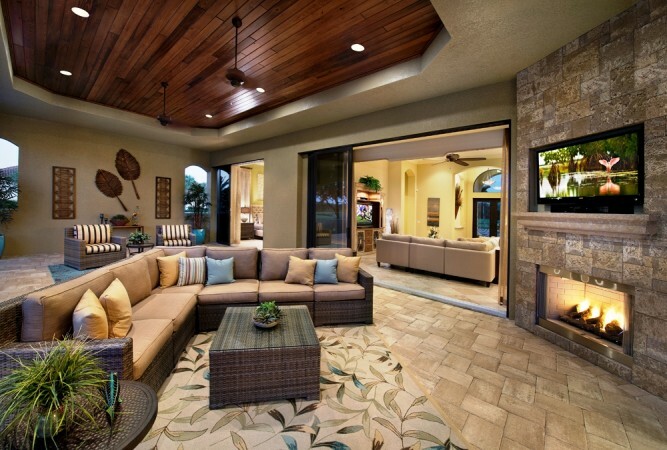 Outdoor rooms are outfitted with all the conveniences as indoor spaces, including fireplaces and televisions. Comfortable seating tops off beautiful surface materials such as stone fireplaces, tile flooring and wood paneled ceiling inserts. Lighting and air distribution are augmented with can lights and ceiling fans. 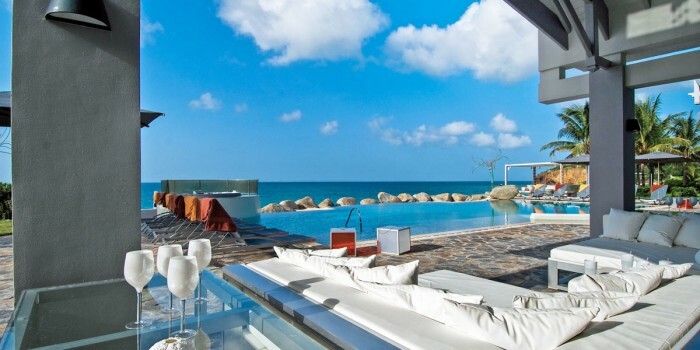 Outdoor rooms have the added luxury of including hot tubs and swimming pools. The transition from indoor to outdoor space in the luxury home is virtually seamless, as the rooms simply flow into one another. 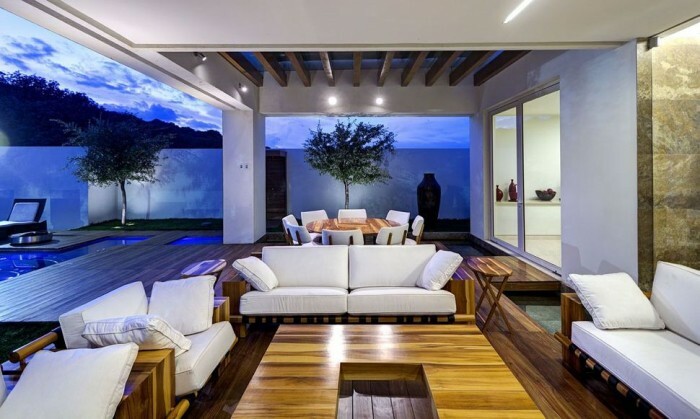 Outdoor spaces can be designed to include separate seating and dining areas, much like an open floor plan. In this case, “open” has a whole new meaning. A glassed-in outdoor area is perfect for taking in the view from any room in the home. 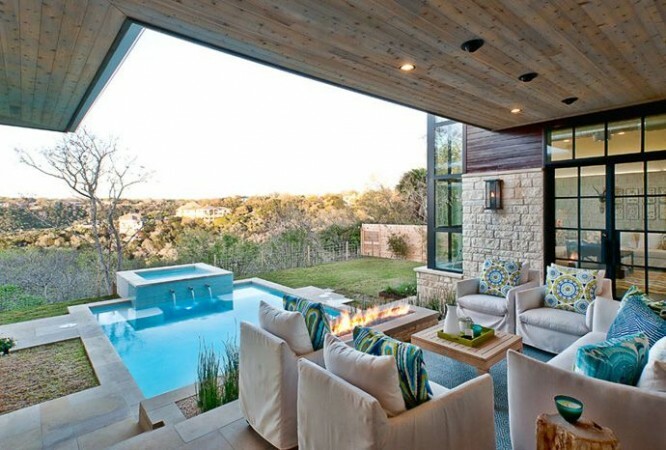 The outdoors becomes just another room in the house with the addition of both indoor and outdoor amenities. Landscaping and stone flooring combine with furnishings reminiscent of indoor spaces to make a room that is an outdoor oasis with indoor comforts. This modern home shows an indoor space that opens up to an outdoor world complete with swimming pool, fireplace and television. 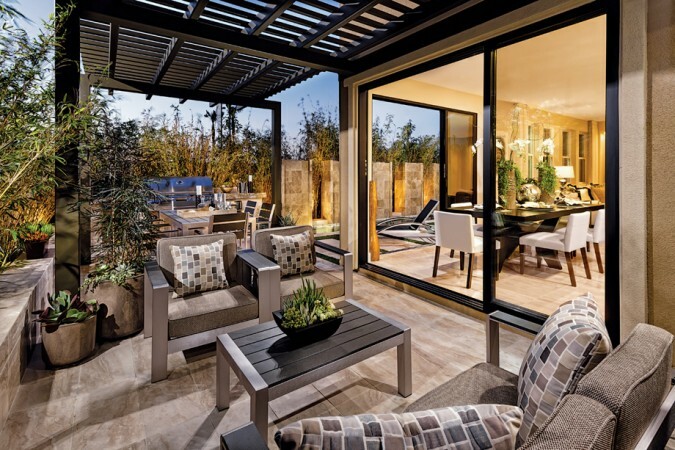 The seamless transition from indoor to outdoor is accomplished with folding doors. 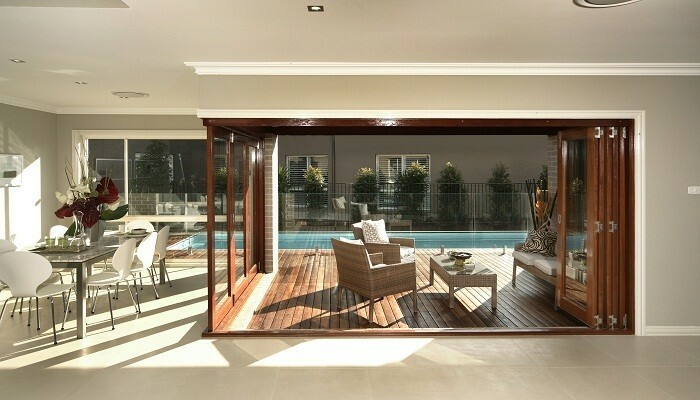 This cozy poolside outdoor space is enclosed with folding doors and opens up to an extra room in the home. These may be luxury spaces, but you can make this easy indoor/outdoor transition in your own home with open doorways and covered patios. Let these outdoor rooms inspire you to create an oasis of your own that transitions smoothly from your indoor space.